Cats are use to being treated like royalty. They’ve been worshiped, pampered and adored by humans since ancient times. 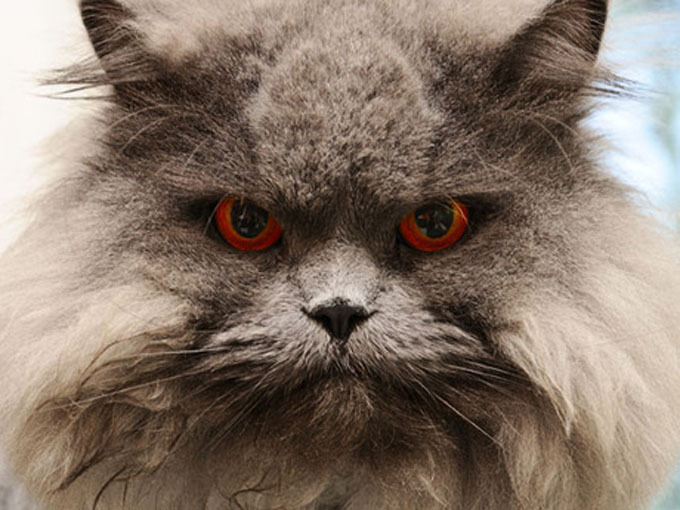 Despite what you may think, today’s cats are just as regal and royal as they ever were. 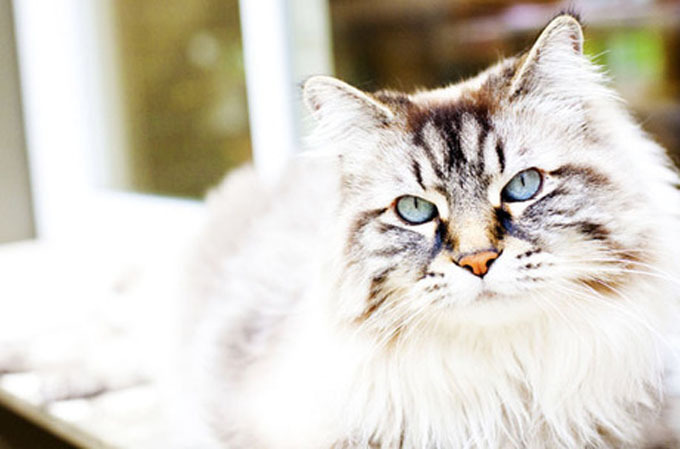 Here are a few ways that your cute, whisker-faced friend is forcing you into Royal servitude with king-like majesty without you even realizing it. When a cat is hungry, there’s no stopping her: meowing, pawing, and intentional laying in front of your moving feet are just a few of the tactics Queen Kitty will use to get what she wants from her royal subjects. 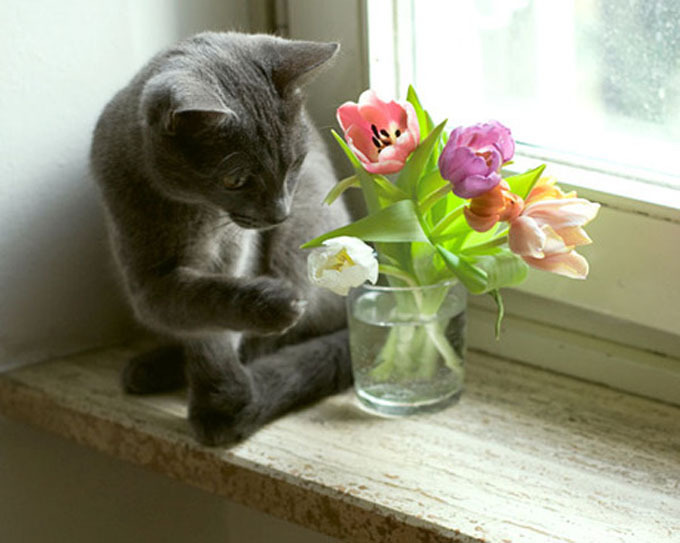 Anyone who lives in royal servitude to a feline knows that they can be the pickiest of eaters. Some cats only dine on the moist and tender center of the food bowl, leaving a perimeter of crusty scraps for you to clean up, and you better clean that up quick before the flies come in to dine on her leftovers. 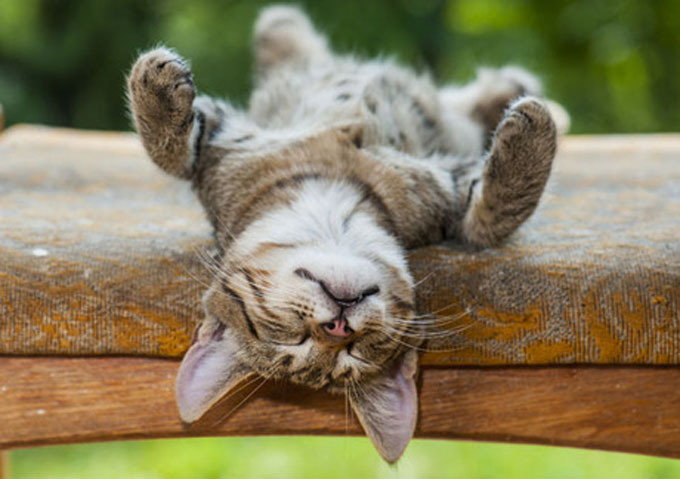 Cats will sleep almost all day if you let them. But the second you lay down and rest your eyes, they sit there, judging. You can feel their eyes on you, wondering why you’re not moving around, doing something for them. Like a lazy monarch, they’ll doze most of the day, but the minute you try to take a cat nap, they are furious. There’s something about a glass of liquid on a flat surface that is irresistible to cats. Like the mighty Thor, they send your liquids and containers crashing to the ground with royal indignance because it’s really your fault for leaving it out. Oh, you have a paper due in the morning? 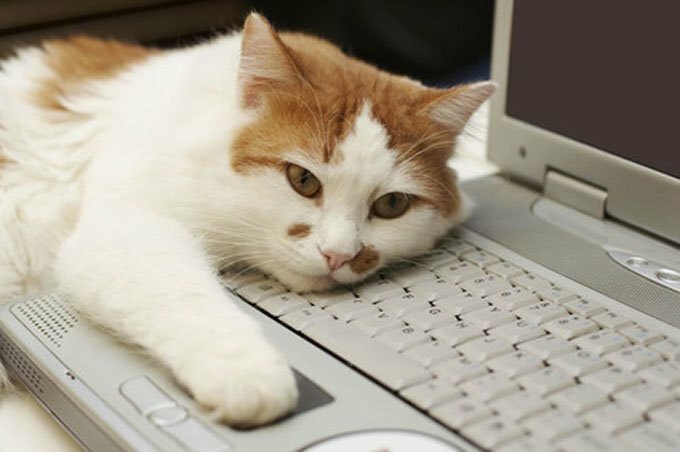 Why are your hands on that computer keyboard, when they could be better served pleasuring to your Kitty Ruler. No problem, Queen Kitty will solve this problem by laying down right on top of your keyboard making it impossible for you to avoid contact. You could be working on a cure for some horrible disease but your cat only knows that there are way better things for your hands to be doing right now. Kings and queens are able to lead their people because they are masters of swaying public opinion with their words, also they will cut off your head if you don’t obey. Cats do the same thing, but with their meows. They are able to purr in a way that mimics the frequency of a human baby’s cry, which humans are biologically programmed to respond to. This is why you find it impossible to not respond when Kitty is commanding/meowing for your attention. So there you have it, you went from King of your own castle, to Royal Kitty servant. You’re a lowly, humble, feline servant, and your cat wouldn’t have you any other way. 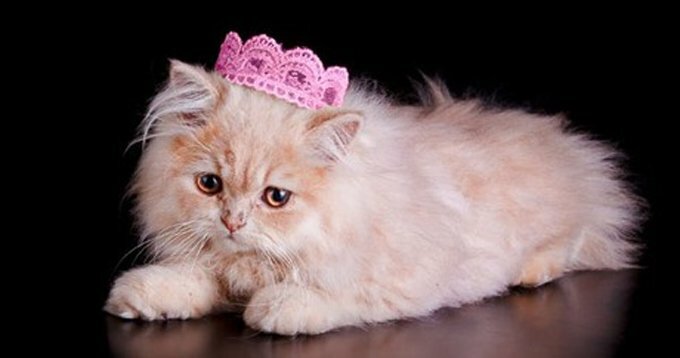 Doesn’t every kitty deserve to be treated like Royalty?